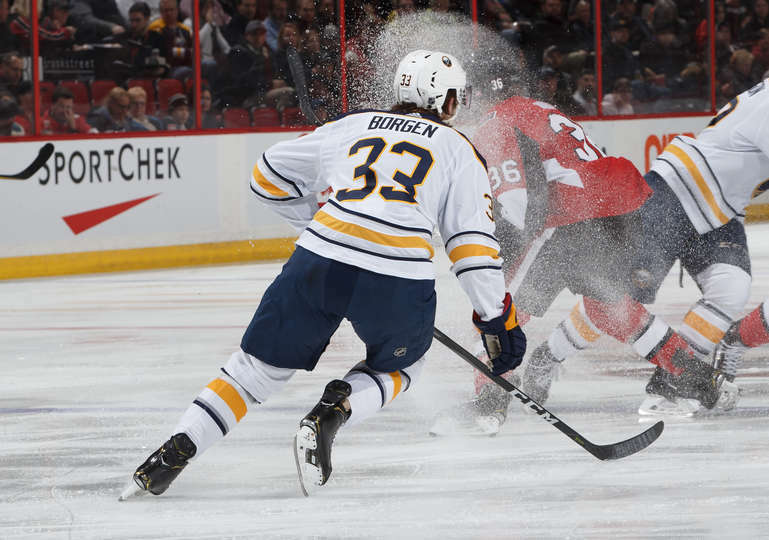 Facing a raucous road atmosphere and an opponent fighting for a spot in the playoffs, the Sabres emphasized the importance of starting strong against the Montreal Canadiens at Bell Centre on Saturday night. They led 1-0 after the first period on the strength of a Sam Reinhart goal. Sam Reinhart watched as his buzzer-beating backhand deflected off the post while the final second ticked off the clock in overtime on Sunday, briefly extending what had already been a thrilling St. Patrick’s Day matchup between the Sabres and St. Louis Blues at KeyBank Center. With Jack Eichel sidelined for the first game of a two-game suspension, the Sabres rallied to generate 61 shot attempts against the Dallas Stars on Tuesday night. The Buffalo Sabres today announced the team has recalled forward Alexander Nylander from the Rochester Americans (AHL). Philipp Grubauer made 18 saves for the Colorado Avalanche in a 3-0 win against the Buffalo Sabres at Pepsi Center on Saturday. The Edmonton Oilers scored three straight goals late in the second period to rally for a 4-3 win against the Buffalo Sabres at KeyBank Center on Monday. Craig Anderson made 35 saves for his 42nd career shutout, and the Senators posted a 4-0 victory against the Sabres.